Technology brings us many wonderful gizmos and makes life as we are living it possible. But as somebody once noted, "You can't make an omelette without breaking some eggs," the omelette being modern civilization and the eggs, well for lack of a better term, the natural world around us. It just occurred to me after my latest post on radiation ascended into the CLOUD, Google Division, that when we make omelettes, we like to crack more than one egg. Take the Pacific Ocean. That's a four egg omelette. Let me enumerate the four ways to crack these eggs. 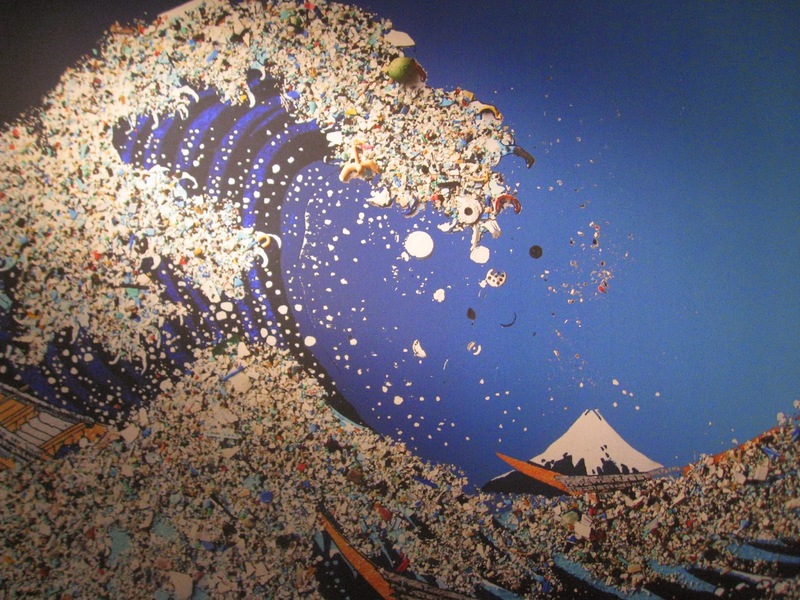 The Plastic Gyres - dump plastic in the ocean, let it decompose and choke marine life with it. Acidification - that scheme came to my consciousness about the same time as the Plastic Gyres. We generate CO2. CO2 dissolves in the ocean and creates a mild acid and the acid dissolves the calcium carbonate that marine creatures need to make their bones out of. Radioactive material - The amount that has been dumped into the Pacific is probably less harmful than acidification or overfishing, but who knows, we're not done dumping yet.